In modern times the District Attorney’s office in Dallas, Collin, and Tarrant County have a zero-tolerance policy on domestic violence towards women. 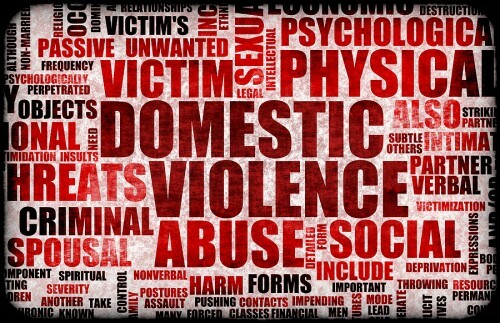 Unfortunately, domestic violence occurs much to frequently in our society. Though helpful in certain situations, this Zero-Tolerance policy has the potential to be abused to gain leverage in a Child Custody proceeding. A mere allegation, is usually sufficient for the District Attorney to file charges against a man, regardless of the proof. If there is an allegation of abuse reported to the dispatcher and a police officer is sent to a home, then one of the spouses will be heading to jail. If the spouse is a father, this can be detrimental in two ways. First, the arrest for Domestic Violence will open the father up to liability when pursing his rights during a custody battle. Second, a false allegation, tactically placed, may open up a second front on a father, forcing him to defend against the District Attorney’s office for a Class A Misdemeanor. When a father is accused for domestic violence, he will have to explain this false allegation to the District Judge and furthermore if the Zero-Policy dictates that the District Attorney pursues the allegation, then the father will have to defend himself from the State. It is not healthy to be paranoid of your Ex-Spouse/girlfriend if the relationship is not high risk for domestic violence allegations. You should always attempt to co-parent and amicably resolve disputes with your Ex-Spouse/girlfriend for the betterment of the children. Having said that, there are situations and circumstances in which false allegations may be used to leverage one side during a custody suit. If a false allegation is filed with the District Attorney and you are a father do not expect to receive any sympathy from the District Attorney’s Office.